was minted between 1907 and 1933. 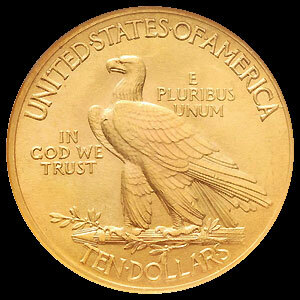 It is recognized as part of the early 20th Century American coin renaissance. Each coin contains .4838 ounces of gold. 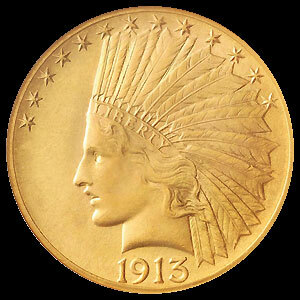 Designed by Augustus Saint–Gaudens, the obverse depicts Miss Liberty adorned with a full Indian feathered war bonnet, along with thirteen stars across the top and the coinage date at the bottom.